A single fermenter with a 123,000 gallon capacity. 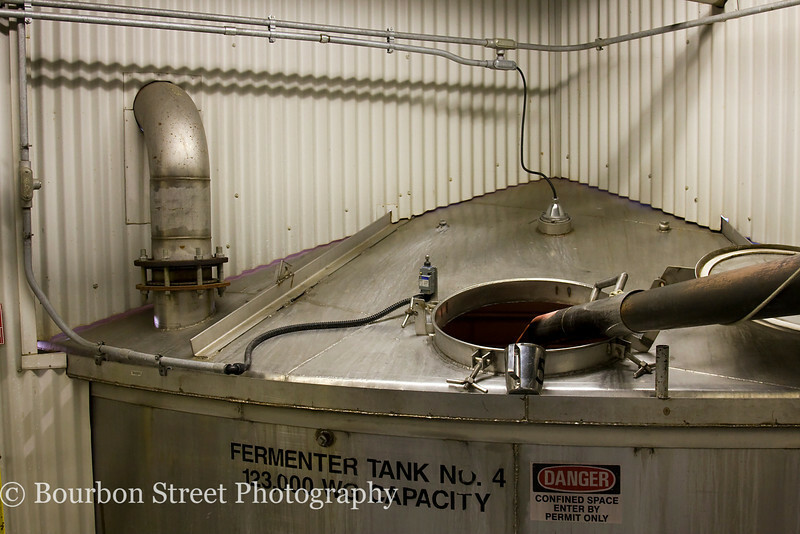 Fermentation is scheduled to run for 3-5 days, depending on the week's schedule. These tanks have a closed top and extend through the wall of the building.